I was driving home from a family event at about 9:30 pm on a recent Sunday night using the Island Highway. The vehicle in front of me drew my attention as it strayed to the right, half way onto the shoulder. We were traveling at about 85 km/h in the posted 90 zone. After a moment the driver resumed the proper lane position but soon drifted off to the right. The direction of the drift did not depend on the curvature of the roadway. This type of driving behaviour is very familiar to me. It’s typical of the alcohol impaired driver and I’ve had plenty of experience investiging and prosecuting these cases as well as the collisions that have resulted from them. I settled in to watch as there is no way that I will pass a driver like this one. Far better to keep back and know what is happening than to pass and get caught up in a collision. It soon became apparent that other drivers did not agree with my thoughts as they passed by this vehicle using the left lane, even when it was obvious as they overtook that driver was weaving into their path. After a near miss with the concrete barrier at the right side of the road I asked my wife to call 911. I was prepared to follow this driver until I could direct the police to pull the vehicle over and deal with the driver. I was able to obtain the vehicle’s licence number at the first red traffic signal where the driver had come to a stop a full vehicle length past the stop line. We continued to follow and watch this driver wander in and out of the right lane for about 10 minutes. The 911 operator was able to stay with the call and we kept up a running update of our location on the highway along with a description of what we were seeing. Given everything that I was seeing, I was fairly certain that if we watched this long enough we would be witnesses to a collision. Taking a guess, I would estimate this driver’s blood alcohol content at 240 mg% (0.24) or about three times the criminal limit. Finally a marked police vehicle overtook us and pulled the suspect vehicle over. There was little doubt in my mind that this driver was going to be subject to an Immediate Roadside Prohibition and a hazard had been removed from the highway. The constable involved called me back to tell me what had happened. The driver was not impaired by alcohol or other drugs, he was having problems with his large dogs. They had been in the vehicle for a long time that day and would not stay in the back seat. He was wandering all over while he tried to push them into the back seat again! The driver was not impressed with his ticket for driving without reasonable consideration for others using the highway and promised to dispute it. Transporting animals on the exterior of a vehicle is dealt with specifically in our Motor Vehicle Act, but only with concern for their safety. They must be confined if there is any possibility if they might fall or be thrown from that vehicle. 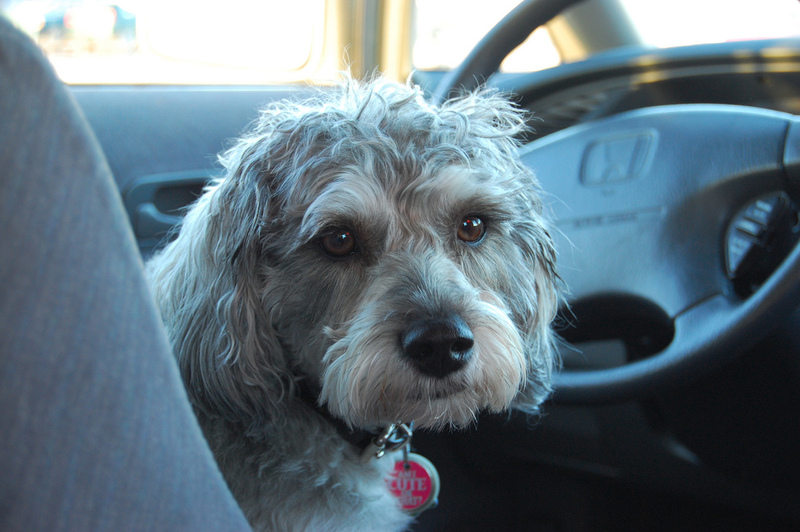 A common complaint concerns drivers who drive with a dog on their lap. Both the pet and the owner are at risk because of the vehicle’s air bags. 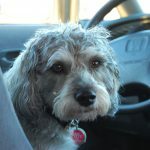 The best place for the dog is in the back seat wearing a harness to keep them in place. DriveSmartBC is a community web site about traffic law and road safety in British Columbia that I run as a hobby. The centerpiece is the weekly article that examines an aspect of traffic law based on the Criminal Code, the British Columbia driving statutes or an aspect of road safety in general. Readers are welcome to add their comments to each individual issue which I hope will provide a wider viewpoint on the topic and turn the site from a static place to read into a dynamic place to participate. My background includes 25 years of policing with the Royal Canadian Mounted Police, consisting of 5 on general duty, 20 on traffic and 10 (concurrent with traffic service) as a collision analyst responsible to conduct technical investigations of collisions. I retired from policing in 2006 but continue to be active in road safety. Since you’re here, SPN has a small favour to ask. Like the post – It clearly shows the variety of distractions that we allow ourselves to be drawn into. At any point – on any corner – someone you know or love could have been hugely impacted by the actions of this driver. Not cool.